Fixtures within the Aspen Creek collection offer a handsome look for farmhouse or rustic living spaces. Featuring a steel design frame painted to emulate driftwood, a Brushed Nickel finish adds a modern element. Etched natural parchment glass shades complete the look. 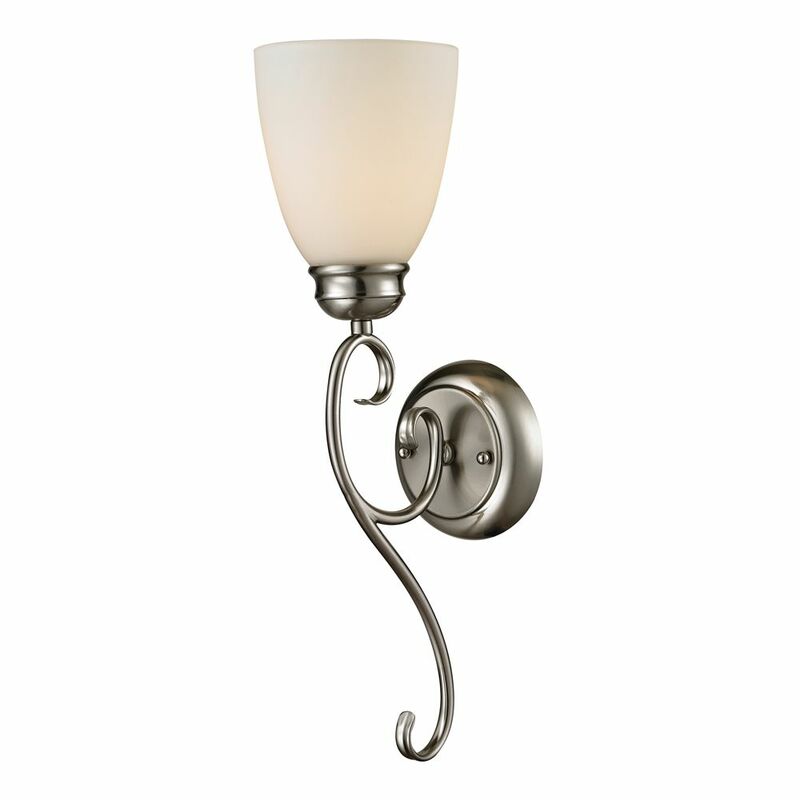 1 Light Wall Sconce In Brushed Nickel With Led Option A fantastic addition to any room, this beautiful wall sconce features a classic design with metalwork finished in brushed nickel and a stylish white glass shade.